The median price for a single-family home increased by 7% over 2013, although the number of homes decreased year-over-year. The median price of a single-family home was $290,000. The statewide median sales price for single-family existing homes last month was $181,000, up 3.4 percent from the previous year. The median is the midpoint; half the homes sold for more, half for less. Condos and town homes saw a 2% increase in median price to $120,000, whereas the statewide median price for townhouse/condo properties in August was $135,000, up 3.8 percent over 2013. But despite the increase in prices, Broward single-family home sales fell 7%, from 1,389 to 1,295. State-wide, home sales saw an increase of 4.2% over 2013. 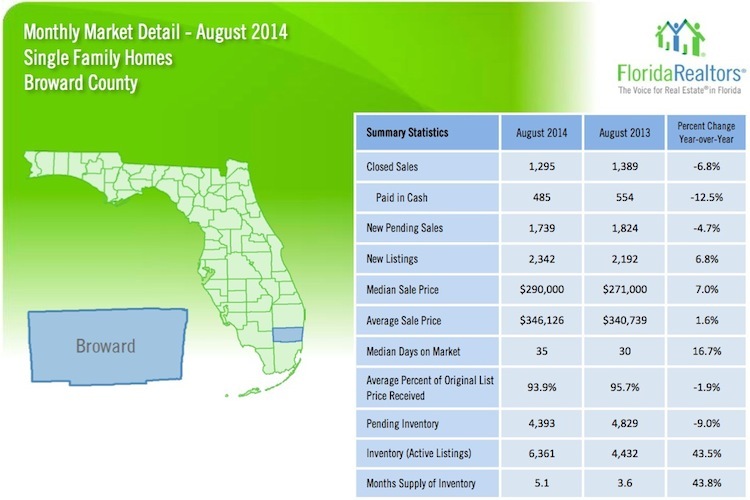 Statewide closed sales were down 8.8% from levels in August 2013. This drop is partly reflected by fewer short sales, which declined 60.4%. 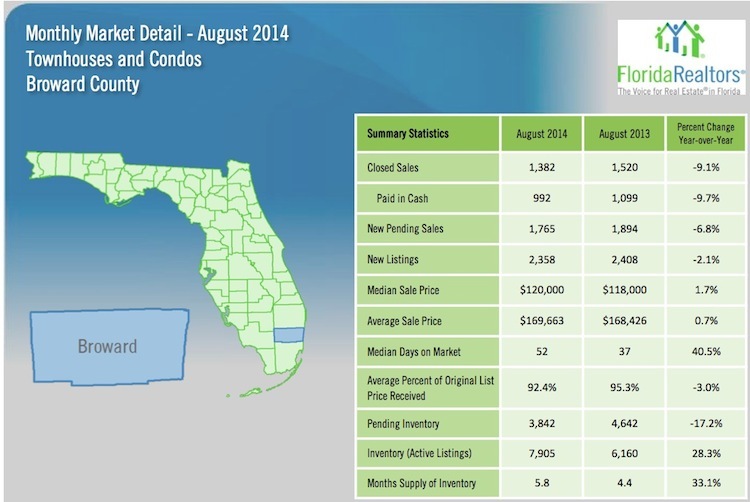 The number of active single-family home istings in Broward county has risen 44% over August 2013. Previous Hillsboro Mile Mansion – Most Expensive Home in the U.S.